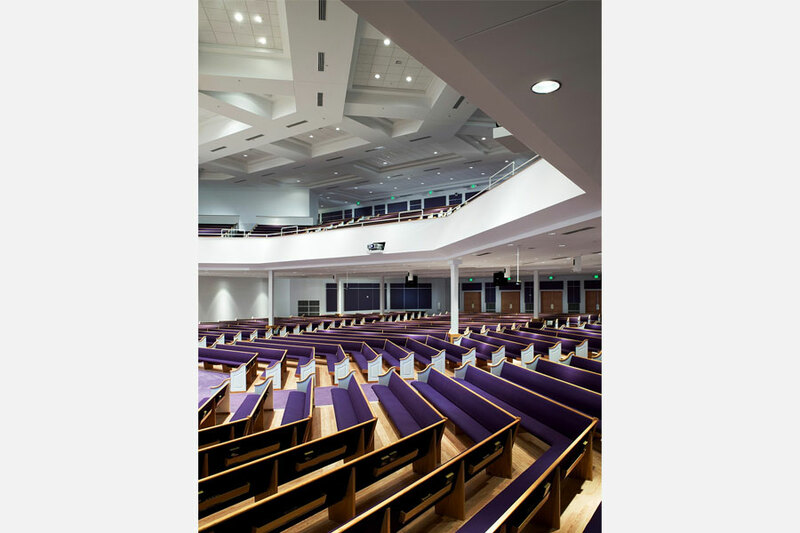 The location of the existing sanctuary created a very tight site for the 2800 seat sanctuary. 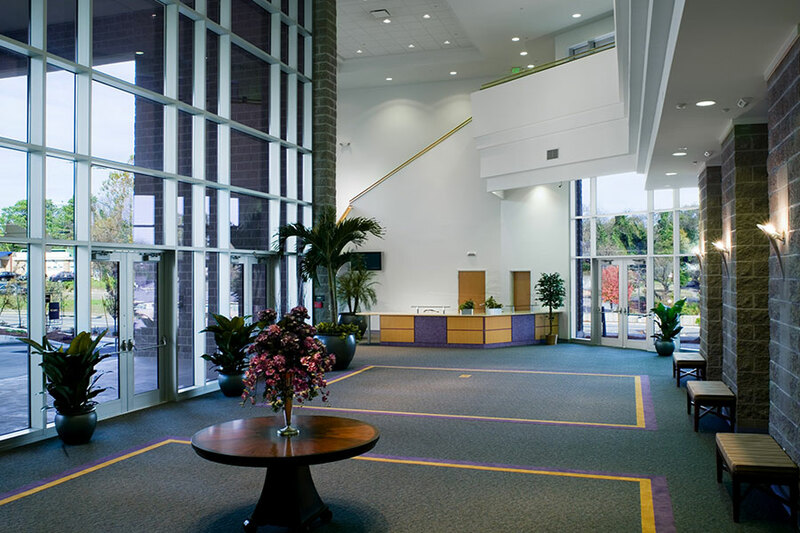 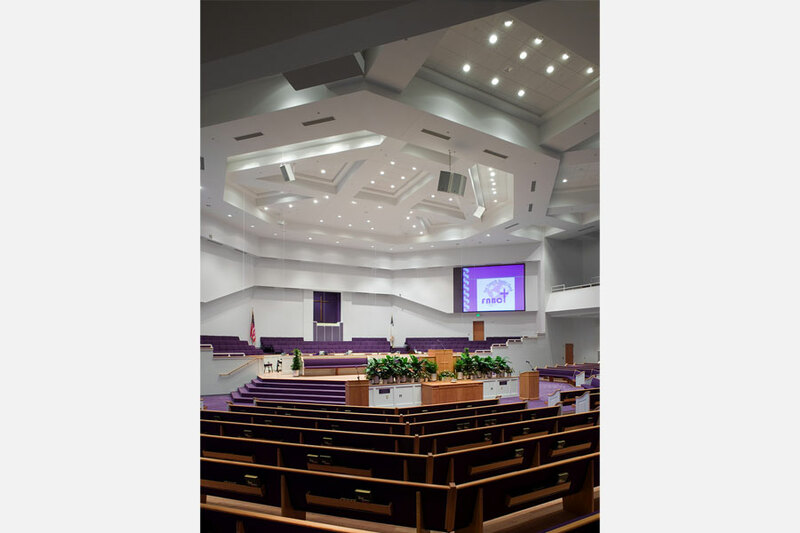 Accommodating the Client’s desire for an intimate seating arrangement led to the Master Planning and design of a fan shaped sanctuary, rotated forty-five degrees within a lineal building. 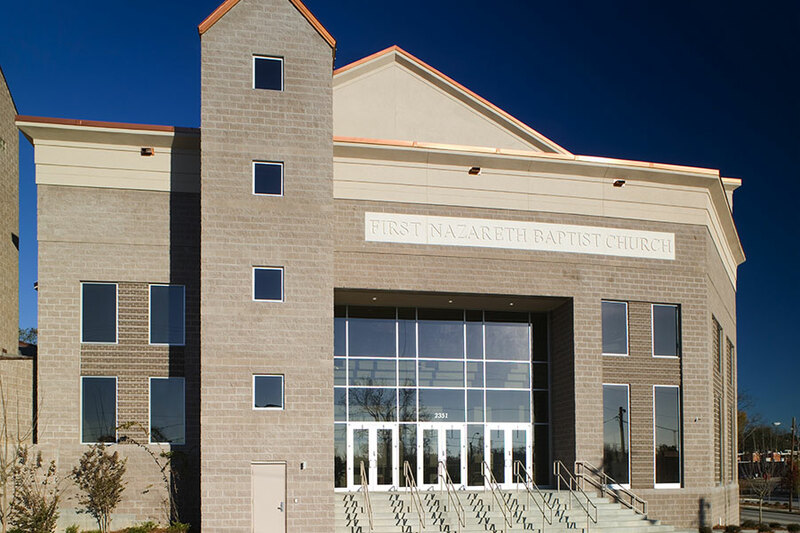 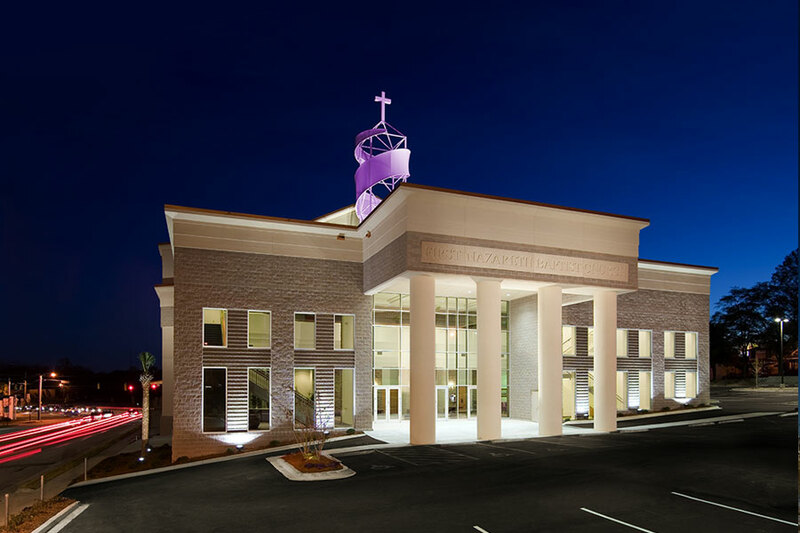 The existing split-faced block, stucco, and metal roof, were matched in the new building to unite the campus, but were re-organized to establish the identity of the new sanctuary.